Have you ever wondered what’s your dog’s tail trying to tell you? Dogs use their tails to communicate all types of emotion. These emotions include happiness, aggression, pain, fear and much more. The purpose of the tail equally is to help with balance especially while walking on uneven surfaces. Dogs also use their tails to help jump, turn, navigate over objects and move around. Likewise, the tail is very active while they are swimming. Many dogs use their tail as a counterbalance when making turns. Very often, you’ll see a dog jumping turning one way, while their tail moves the other way. The muscles of the tail similarly assist with stabilising and supporting the spinal column and help with the extensors in the spine. It’s unknown whether tail movement is something your dog thinks about first or if it’s a neuromuscular result. A study performed in 2007 http://www.cell.com/current-biology/abstract/S0960-9822(07)00949-9 found that different mechanisms of the brain dictate the direction of the tail wag. A dog will wag his tail to the right side when he is feeling happy and confident. The left side of the brain, which controls the right side of the body, concentrates in behaviours related to the approach of happy things. When the dog wags his tail to the left, he is frightened or anxious. The right side of the dog’s brain controls the left side of the body which controls feelings of fear and flight. The tail consists of small bones and your dog may have anywhere from a couple of these bones up to twenty-five. Some dogs are born with few segments and others have their tail docked. The tail moves in extension (straightening) or comes straight up, flexion (bending) or downwards and side-to-side. Tails come in a tremendous variety of shapes, lengths, amounts of fur, and tail sets (positions). Each breed has a specific tail set and it’s important to know the original position of the tail. For instance, if your dog’s tail set is high and now hanging down, it may indicate a problem with their back; they may not want to extend the tail up since it places pressure on their spine. The tail is an extension of the spine and is very dynamic in the dog’s body. The extension movements of the tail have an effect all the way to the spine. Very often, a dog will not extend the tail all the way which may be indicative of a problem with the lower or lumbar spine. Dogs may also avoid straightening of the tail if they have problems with their hindlimbs and if your dog has the tail down, it may be suggestive of pain somewhere in the body. Lastly, the segments at the end of the tail can become arthritic, which will cause substantial pain and inflammation. If you notice pain in your dog’s tail, please have them checked by the vet. There are many opinions on this subject. 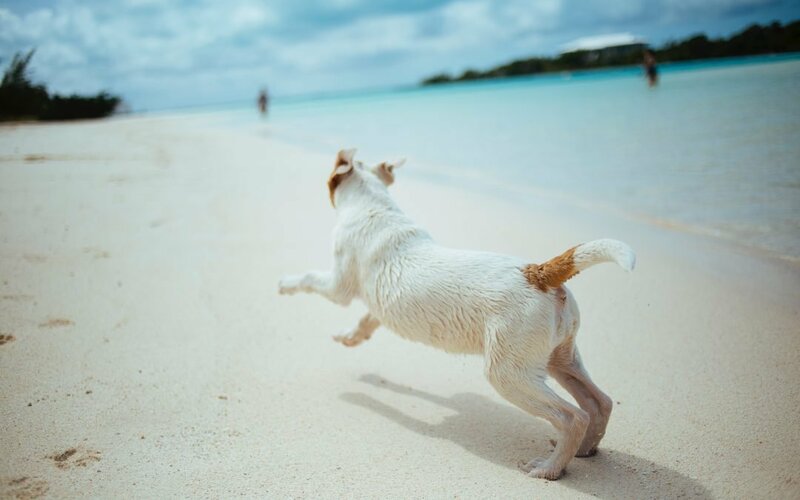 Some dogs are born without a tail or have them docked while there are dogs with short tails or without tails, it’s important to remember that tails assist with speed and mobility and dogs without tails may be more prone to injuries. Until next time, enjoy spending time with your pet(s), have fun interpreting your dog’s tail and PLEASE REMEMBER TO NEVER PICK UP A DOG BY THEIR TAIL! We are not veterinarians and do not diagnose any conditions, perform surgery or prescribe medications, we can assess the muscles as part of being a Myofunctional Therapist. Muscle therapy is not a replacement for proper veterinary care and any injury or disease must be medically diagnosed and treated by a veterinarian. We encourage you to make your own pet health care choices in collaboration with a certified pet health care professional.